A Walk With Aud: Feecha!! 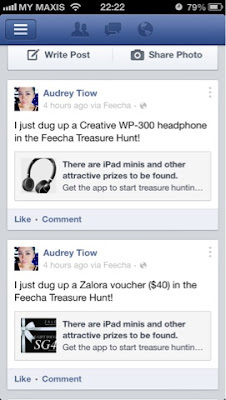 2 weeks ago, I read about this "Feecha" app on qiuqiu's blog. I thought it was kinda interesting so I downloaded it to give it a try. 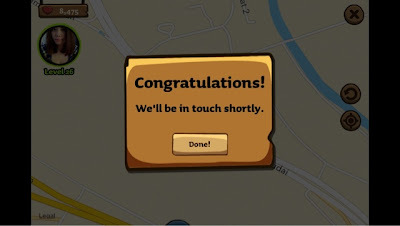 Whenever you are at a new place, launch the app and the app will auto start digging treasure for you! You might get some hearts or nothing... OR REAL LIFE PRIZE!!! See, that's mine! 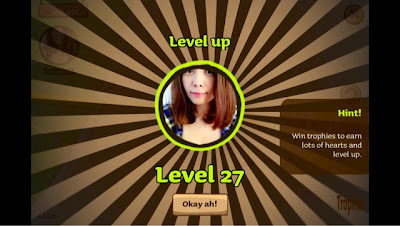 You will level up faster if you use the app more often! Okay, What they have that worth all the fuss? It's not simple I tell you.. Check it out! It's worthy! Click me! There are T-Shirts, Tote Bag, and even Zalora Voucher!! They even have wireless speaker, wireless headphones and Nexus 7 to be won!!! 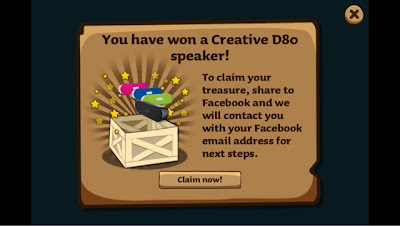 Great prizes isn't it? Its big!! Its awesome!! Its iPad mini!! How awesome is that? There are 2 units in total to be dug up!! (updated: left ONE, ONE and ONLY ONE now!) Don't wait anymore longer, move now! Grab your phone and download "Feecha" now! Share and Show me your prizes if you get any ya! Tag me @heaventears on Instagram, @heaventears on Twitter or Search for heaventears on Facebook page!! Now check on my haul!! This is what I won!! 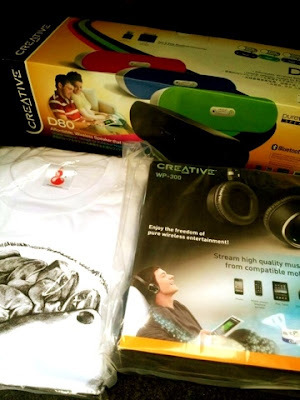 Creative D80 wireless speaker, $40 Zalora voucher, Creative WP-300 wireless headphone, and a Feecha T-shirt!! 4 prizes in 2 days!!!! The admin had to run thought their coding to make sure that's there's no bug or glitch on the app, because I'm simply lucky awesome! Damn lucky me!! Thank you!! I'm really very very grateful! The best Chinese New Year and Valentine prezzie I got for myself! 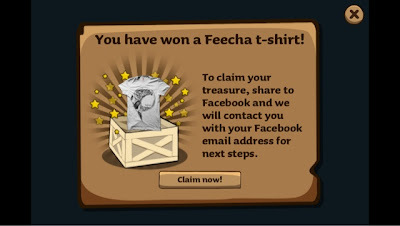 Thank you feecha! DOWNLOAD IT NOW! WAIT NO MORE!! Available on IOS and Android!! Check their facebook page too for new updates! !